TechRadar has always been a champion of the mobile phone sector - you only have to check out our in-depth phone reviews to understand this - and that is why we are announcing the arrival of the TechRadar Phone Awards 2011. This is the biggest celebration of all things mobile from the UK's number one site for smartphone buyers. The TechRadar Phone Awards 2011 will be the UK's biggest consumer phone awards, showcasing the very best in phones, accessories and apps. And, most importantly, TechRadar readers will play a key part in who gets nominated and who wins the top prizes. The TechRadar Phone Awards 2011 is your chance to campaign for the phones, manufacturers and applications you think deserve the most recognition. In all there will be 12 categories with six People's Choice awards and voting will begin April 2011, so get thinking about who you want to win. 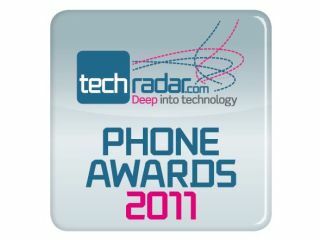 Stay tuned for more details on when voting for the TechRadar Phone Awards 2011 begins.